The short version of Joey's story is he had a dream that became a goal to race in the world’s most gruelling off road race - The Dakar Rally. In 2007 Joey Evans was involved in a racing accident in Heidelberg where he broke his back and crushed his spinal cord leaving him paralysed from just below his chest. Joey Evans was given a 10% chance he would walk again. Joey Evans did go on to walk again but he still deals with many challenges today as a result of the injury. 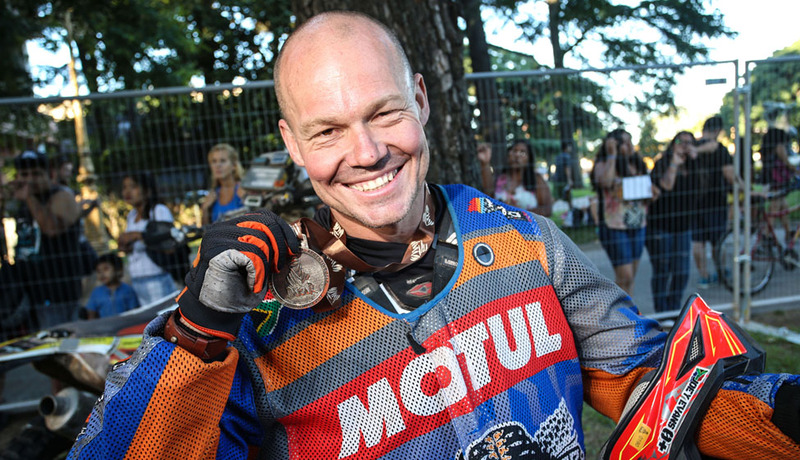 It took Joey Evans 10 years and many setbacks along the way to eventually reach his goal, where he lined up at the start of the Dakar on the 2nd of January 2017. During the race Joey Evans had many challenges the worst of which occurred on the second last day when his bike was driven over by a car. Joey Evans managed to find another bike where the competitor had been injured and medivac out. Joey Evans stripped the bike to fix his and succeeded in being the only South African rider to finish the race. TV - Carte Blanche feature story, The Bike Show, Supersport, 2Wheels TV and Woema. On line – Game On Magazine, This is my Joburg, Beautiful News and others. Joey Evans have done numerous inspirational style talks since returning in January earlier this year. Each Joey Evans have styled for the occasion and according to the goals needed to be achieved. Joey Evans focuses on the human side of his story, opening it up to a wider audience as opposed to just “motorheads”.